The Environmental Protection Agency is holding a public hearing in Arlington today on the proposed update on ground-level ozone regulation. It is important for EPA to hear from every person, since the proposed updates will affect everyone, especially children, the elderly, and those affected by asthma. While environmentalists and public health activists alike are hopeful for the Clean Air Act, there has been heavy criticism on the high prices needed for the new regulation and a fear that the restrictions will cost Americans their jobs. However, EPA Administrator Gina McCarthy promises that the Clean Air Act’s benefits outweigh its costs. Furthermore, scientific findings prove that the Clean Air Act will all around counteract health and environmental hazards. According to the American Lung Association, the effect of ground-level ozone is similar to having sunburns on the lungs. Smog could lead to lung diseases, asthma attacks, interference with reproduction and development, and overall, increased hospitalizations and premature deaths. The Clean Air Act will help decrease financial issues caused by health ones, such as missed work days and medical costs, proving that the Act’s expenses will be overshadowed by its numerous benefits. Those that live in Dallas and Arlington have had to breathe hazardous air, leading to a plethora of groups at risk including a number of 670,217 children under 18 and 224,990 adults 65 and over. EPA will thus be holding a public hearing today in Arlington, which has earned an “F” in ozone pollution according to American Lung Association. Tom “Smitty” Smith (left), Director of Public Citizen’s Texas office testifies at EPA hearing in Arlington, Jan 25, 2015. Ozone pollution, known as smog, harms our communities, because when we breathe smog, we get more asthma attacks, more heart failure, more chronic bronchitis, more respiratory infections, more hospital visits, and more missed school days. There’s good news, though. 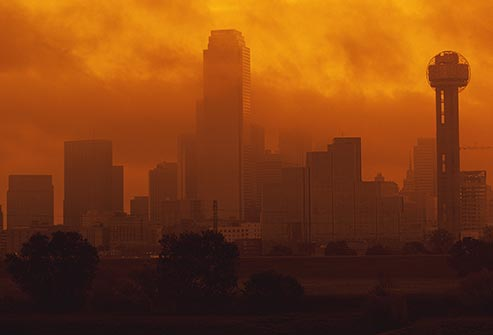 The U.S. EPA recently proposed national standards for smog that would help protect public health. We have a chance to show support for this health protective standard by attending and speaking at an upcoming public hearing on the smog standard in Arlington, Texas. Will you consider joining us to speak up about why clean air matters to you? Who: Texas moms, dads, families, aunts, uncles, grandparents, children and supporters. What: Speak briefly (5 minutes or less) to EPA staff members about why clean air matters to you. We will support you every step of the way to let you know exactly what to expect, and to help you prepare for the day. When: Jan. 29: Arlington, Texas. Each hearing will begin at 9 a.m. and continue until 7:30 p.m. local time . If you decide to join us, you will be assigned a specific time of your choice to come speak and could leave directly after you deliver your comments. Why: EPA needs to hear from families, not just polluters, about the importance of protecting our children’s lungs. Your voice matters. Your comments will be entered into the official docket for the smog standard, and will be taken into consideration as EPA finalizes the standard. 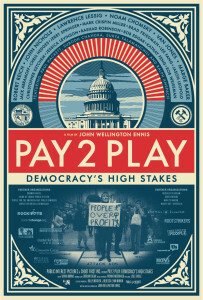 Film screening of Pay 2 Play: Democracy’s High Stakes. 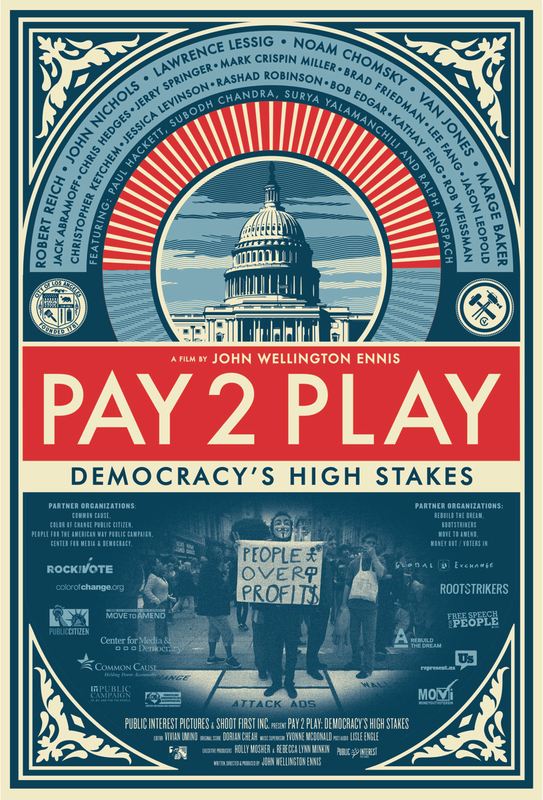 This documentary follows filmmaker John Ennis’ quest to find a way out from under the Pay 2 Play System, where Politicians reward their donors with even larger sums from the public treasury — through contracts, tax cuts, and deregulation. Along the way, he journeys through high drama on the Ohio campaign trail, uncovers the secret history of the game Monopoly, and explores the underworld of L.A. street art on a humorous odyssey that reveals how much of a difference one person can make. This entertaining film is a layman’s guidebook to taking back our democracy. The Coalition for Sensible Safeguards strongly opposes the Regulatory Accountability Act (RAA), which the House passed on Tuesday. They are urging members of Congress to oppose it and The White House has issued a veto threat for the Bill . This innocuous-sounding bill is designed to undermine our nation’s environmental, public health, workplace safety and consumer financial security protections – not improve them. The RAA would rewrite dozens of laws, including the Clean Air Act, the Consumer Product Safety Act and the Food Safety Modernization Act by requiring federal agencies to put corporate profits ahead of the health and safety of American workers and families. Agencies would have to produce highly speculative estimates of all the indirect costs and benefits of proposed rules and do the same for any potential alternatives. What counts and does not count as an indirect cost or a potential alternative? The bill leaves that up to the imagination of industry. In addition, the RAA would hamstring the work of agencies like the Securities and Exchange Commission, the National Labor Relations Board, the Consumer Product Safety Commission and the Consumer Financial Protection Bureau. The bill would subject their work to review by the Office of Information and Regulatory Affairs, which is infamous for delaying, diluting and blocking important new safeguards. Federal agencies already take years to issue health and safety standards. The dozens of cumbersome requirements added by this bill would make that process even longer. Any high-stakes rule that miraculously made it through these roadblocks would face unprecedented challenges. The RAA would allow industry lobbyists to second-guess the work of respected scientists through legal challenges, sparking a wave of litigation that would add even more costs and delays to the rulemaking process – while putting the lives, health and safety of millions of Americans at risk. The costs of blocking crucial standards and safeguards are clear: The Wall Street economic collapse, the Upper Big Branch mine explosion in West Virginia, the West Fertilizer Company explosion in West, TX, countless food and product safety recalls and massive environmental disasters including the Dan River coal ash spill in North Carolina and the Freedom Industries chemical spill in West Virginia are just some of the most recent examples. It’s no wonder polling shows that Americans want better enforcement of our nation’s rules and standards. Congress should listen to the public and stop trying to sabotage the safeguards that protect us all. To learn more about the potential effects of the bill, see the Coalition for Sensible Safeguards’ 2011 report: Impacts of the Regulatory Accountability Act. The latest version of the bill has been partially revised, but the problems at the heart of the bill remain. It’s a new era for the Austin City Council in more ways than one. Not only does the Council have geographic representation for the first time ever, but the almost entirely new Council (Kathie Tovo is the only returning member) has proposed a significant overhaul to the way in which the body does its job. These changes were presented at a press conference with all 10 Council members and Mayor Adler last Thursday. Austin City Council press conference. Photo by Kaiba White 1/8/15. 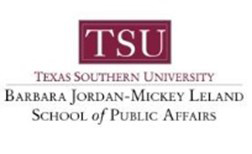 The proposed changes are in response to several often repeated complaints. The first is that Council meetings are unreasonably long – an average of 9 and a half hours in 2014, according to a city auditor report. 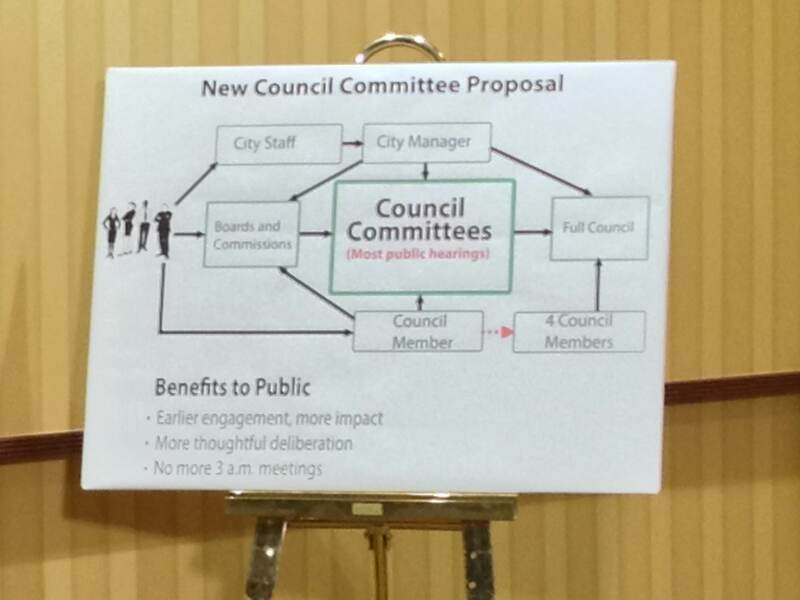 This results in some Council decisions being made late at night after a full day on dais. The second complaint is that there is little to no certainty about when any specific item will be taken up at Council meetings. Coupled with the long meetings, this means that members of the public who wish to speak on an item have a difficult time doing so because can’t spend all day at a Council meeting. A third concern is that by the time an item comes up at a Council meeting most, if not all members have already made their decisions and that speaking for or against an item isn’t likely to change the outcome of the vote. This perception (along with the time commitment required to participate) likely discourages many from showing up to share their views. Council’s proposals are intended to address these complaints head on by expanding opportunity for public input earlier in the process and reducing the length of Council meetings. Instead of most items going directly to the full Council for consideration, most items would first be assigned to a committee and would receive a public hearing in committee. The larger number of proposed Council Committees should reduce the length of any one meeting and make it more feasible for members of the public to participate. Time sensitive items or items that don’t receive timely attention in their assigned committee could still be sent directly to the full Council. And even if an item received a hearing in committee, any 4 Council members could still request a second hearing before the full Council. 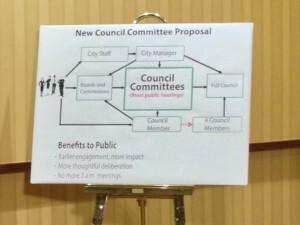 Council has also proposed to assign certain topics, such as zoning to meetings that will focus on those issues, in order to allow members of the public to more easily hone in on which meetings they want to attend. Executive sessions would generally be reserved for a special meetings to keep meetings flowing and waste less of the public’s time. The Council Committee on Austin Energy should remain a committee of the whole – with all Council members, including the mayor, serving on it. Austin Energy is the City’s most valuable asset, accounts for a majority of budget allocations and contributes significant revenue to the city’s general fund, which pays for the bulk of the city’s services, such as parks, firefighters, and libraries. In 2013, the public spoke clearly in favor of Council retaining control over Austin Energy, instead of transferring governing authority to an unelected board. Since Council serves as the board of directors for Austin Energy, all Council members should be fully engaged in governing the utility. A subcommittee of the Committee on Austin Energy should be created to study and propose options for modernizing Austin Energy’s business model. The mayor and several other Council members have indicated that they wish to find ways for Austin Energy to remain viable in the long run. One significant challenge is an eventual future when many more customers will have their own solar systems on their homes and businesses and will purchase less energy from the utility, but will still rely on the utility to maintain a working power distribution grid. Utilities in other states and countries are beginning to tackle the problem of retaining sufficient revenue while selling less electricity. Establishing an Austin Energy Business Model subcommittee will ensure that Council is focused on ensuring the long-term financial stability of Austin’s most valuable asset. Council should stet an expected timeline for holding public hearings on items that are assigned to committees. We suggest that a public hearing should be held within 30 days of an item being assigned to a committee. This will ensure that the committee process fosters meaningful and timely public engagement, as it is intended to do. Please email the Council members to let them know that you support their proposed changes and these suggestions from Public Citizen. According to NOAA and NASA, 2014 was the warmest year on record. A new report names 2014 as the warmest year since records were first kept in 1880. Across all land and ocean surfaces, the average temperature was up 1.24 degrees Fahrenheit over the 20th century average, according to numbers released by the National Oceanic and Atmospheric Administration (NOAA). That caused 2014 to pass the previous record-holders: 2005 and 2010. The warmest December since 1880 helped push 2014 into record territory. The same conclusion was reached by NASA, who also called 2014 the warmest year on record in a separate analysis released on Friday. 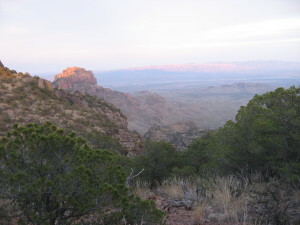 Hazy view from South Rim of the Chisos in Big Bend National Park, TX. Photo by Kaiba White, 3/25/10. EPA will be holding a public hearing in Austin on Tuesday, January 13 on their regional haze rules proposal. This is a chance for any member of the public to speak up in favor of reducing air pollution for coal-fired power plants in Texas to improve visibility in our region’s most important national lands. Impacted areas are Big Bend and Guadalupe Mountains National Parks in Texas and Wichita Mountains Wildlife Refuge. Whether you spend time in these beautiful places and want to improve them for everyone to enjoy or are concerned with the health impacts (particularly respiratory illness) that are cause by this same air pollution, we hope you’ll make your views known. EPA has proposed some strong protections for Texas and Oklahoma national parks and wilderness from haze pollution, but they could do more! Ask EPA not to exclude any old coal plants, as they have done and to make sure that nitrogen oxides emissions, as well as sulfur dioxide emissions are controlled at all facilities. Open House: 1:30 p.m. – 3:30 p.m.
Public Hearing: 4:00 p.m. – 8:00 p.m.
As the start of the 84th Texas Legislative Session approaches, we’re looking to add a couple more passionate advocates to our team. As usual, we’ll be working primarily on energy, environmental and ethics issues. If you want a good learning experience with an opportunity to make a difference, read on. Public Citizen’s Texas office seeks an organized and motivated person to provide research, social media and light administrative assistance to a former Texas State Representative that will be volunteering with us for the Legislative session. Duties will include assisting a former state representative with social media (Facebook and Twitter), Capitol office visits, research, and some light administrative work – mostly helping to keep things organized. This will include research on radioactive waste and fracking, but could include other topics as well. The assistant will help develop factsheets and blog posts based on this research. The assistant will be asked to track bills as they are filed and move through the legislative process and to help distribute materials to state legislative offices. Interns work with the Texas Legislature, the media, and other public interest groups to change laws and educate the public on environmental issues, especially those relating to energy use. JOIN US…In learning how to use TRI data sources to protect communities. The goal of the TRI Regional Workshop is to educate communities, students, industry professionals, academicians, and public health officials on how to access and navigate the EPA TRI data source to improve environmental conditions and policies in environmental justice communities. Regional case studies will be incorporated into the work- shop training. TRAVEL ASSISTANCE: Limited travel scholarships are available on a first come first served basis. Apply early. LODGING Sheraton Galleria is the conference venue. Register early. Solar fever is spreading in the Austin area! A passionate group of solar supporters is working to bring more solar to Wells Branch. It all started with a solar fair on October 28. A couple passionate Wells Branch residents put together a great event with speakers and tabling by local solar companies, Austin Energy and Oncor (Wells Branch is split between the Austin Energy and Oncor service areas). About 200 people from the community showed up to learn more about solar. As one of the speakers, I provided some basic information and introduced the solarize concept – where members of a community work together to get educated about solar and pool their buying power to contract for a discount with a solar company. Now, an enthusiastic group of Wells Branch residents have created the Solarize Wells Branch group. They’ve already put out a request for proposals from solar installations companies. They’re working to get residents signed up to participate in the program. We talk a lot about policy solutions for improving the environment and human health, but direct individual action is really important too. Going solar saves water, reduces air pollution, helps fight climate change and will save you money. If you live in Wells Branch or a nearby neighborhood, check out the Solarize Wells Branch flier and the Solarize Wells Branch website for lots more detailed info. Enrolling will get you connected with the organizers, who will help get your questions answered. Don’t worry though – this doesn’t in any way commit you to actually purchasing a solar installation.